Jesus cares. 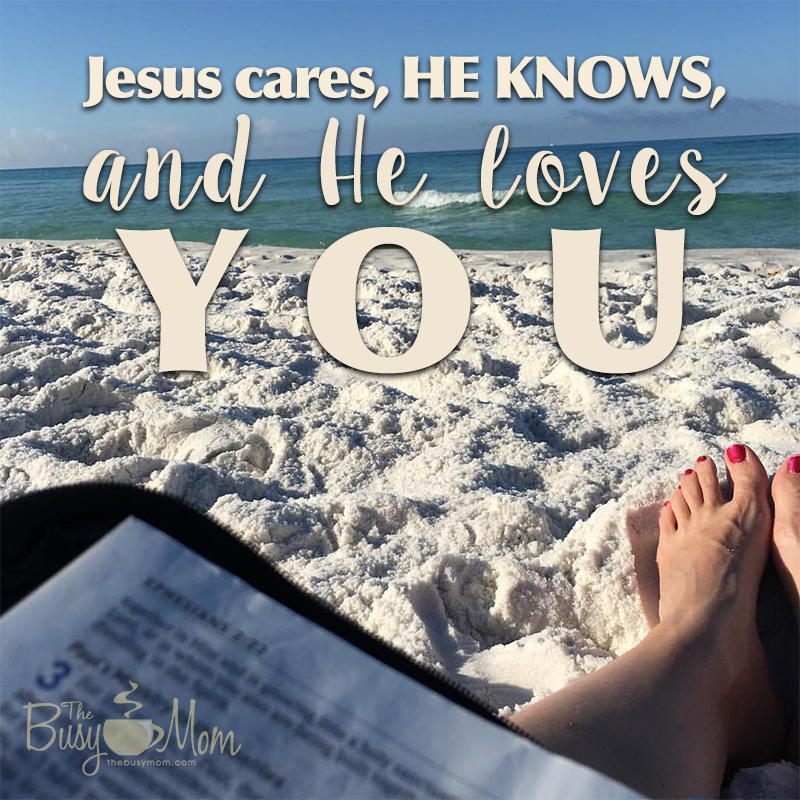 He knows and loves… you. I was at the beach last week, and made a point each day to get out (before the little people awoke) for some time with my sweet Jesus. Nature has a way of calming my spirit and pointing me to my Creator, and this particular morning was no different. I sat that morning just amazed with the good things He given our family, good things that have often been hard at the start – things we didn’t know to ask for, but He knew we needed. While we were at the beach, we had a chance to send money with a family member to provide months of food for the family of our sponsored Belizean child. This took such a small sacrifice on our part for such a great reward for his family! We have the opportunity to take a distant role in watching a little boy grow, learn about forgiveness and Jesus and eternity and have an chance at a better life – an opportunity to change generations. 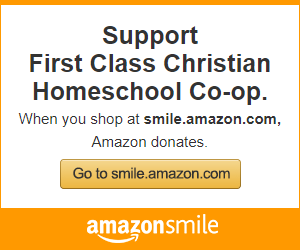 What a blessing for our children! While we were there, a friend messaged me and we had an opportunity to take in a puppy – the breed I knew we wanted next. I wasn’t so sure we were ready for a puppy, but my friend said, “Sometimes God’s blessings take a lot of work.” I let that percolate for a while and realized she’s right. Sometimes things that are really good for us in the long run take a lot of effort, effort that will shape the character of us and our children. He’s given us a gift of some time at the beach for a chance to rest and create family memories that patch some holes worn by years of my husband’s health needs. I sat there that morning and soaked in the knowledge that My Creator – not just any creator, but my creator! – created this water, every grain of sand, every minnow, every person walking by! Yet he knows my heart and knows what I need to become more like Him. He knows I need to make sacrifices to provide for others. He knows we need the hard work and joy of a puppy for the relationship and comfort that a dog offers to my animal-loving children. He knows I need to rest and make memories with my family, and He knows the holes worn by years of struggle. He used His people to write His heart in this book so I can know Him more and learn how much He cares about me. Jesus loves me. The all powerful, omnipotent, unfailing creator of the universe loves me, cares about me and knows what I need. Up until 75 years ago most Americans lived in close contact with nature on a daily basis. Far more of us lived in rural communities, farming and raising livestock. We spent our evenings outdoors watching the sunset, listening to crickets and marveling at fireflies. But today we’re tethered to our electronics morning, noon and night. And for most of us, our children are leading the way into the all-consuming world of digital living. For most Christians, Romans 1:18-32 is a familiar text. In the midst of a world that seems to be collapsing morally a little more each day we rush through verses 18-21 in our headlong dash to verses 22-32 which offer insight into what’s happening to our culture. But I want to draw your attention instead to verse 18-21. I want you read those verses several times, linger there for a moment and allow Paul’s words to sink in. He suggests that if we take the time to look around at God’s creation, we can’t help but see the Creator behind such magnificent beauty. If we take a look at pelicans and peacocks, elephants and eels, giraffes and gorillas our hearts have to pause in wonder. As we gaze up from a rural hillside at the myriad of stars overhead far from the light pollution of the city we can’t help but be amazed at God’s creation. When Jane and I began homeschooling more than 35 years ago, she would often take the girls to the park or woods or to a nearby lake or stream for the day. They would read there, do their math, work on art, write poetry, develop their nature journal there and more. Set within the context of God’s creation the subject of His creativity and His plan for our lives was almost unavoidable. Today with online learning, Chromebooks and Ipods, Ipads and Iphones, Google and cable television our children see almost exclusively what man has made–and often the very worst of what man has made at that. Rarely do they see what God has made. I want to encourage you to get outside as often as possible. Dress warmly and go for a walk on a snowy day. Go to the beach or walk in the woods. Take family camping trips on the weekend or just go out in the backyard to do schoolwork. Perhaps no other emotion is more helpful for young minds than wonder. Let them be awed by an ant colony or a beehive or 10,000 acorns falling from a tree that may someday become mighty oaks. Let them watch birds or fish or butterflies and allow the awe and wonder to soak into their souls. You’ll be amazed at how much learning goes on in that environment: science, Bible, history, art, poetry, literature and more. Linger in God’s magnificent creation at least once or twice each week and see how your homeschool experience begins to change. Watch as your children begin to grow spiritual eyes that can see the Creator who lurks behind the Creation. Ask the Lord to open the eyes, mind and heart of your children and then let them soak in His creation. The results will amaze you. See more articles from Jane Lambert on Nature Study and how to use the Five in a Row Nature Studies in your family. The never ending chore of keeping the bedrooms clean can cause a fair amount of tension if we choose to let it. I’m not a mother who requires that bedrooms get picked up every day, because imaginary play often goes on from one day to the next, and I hate to squelch it. That said, there are plenty of things that can be handled consistently to help keep a bedroom under control. But eventually, it all needs to get cleaned up so we can vacuum or sweep… at least once or twice a year! :blushing: This task can be overwhelming for a child, and we need to be understanding about that. Considering the number of decisions required to put away 9,743 objects in an hour, we should have some compassion. Here are a few tips to help it be a manageable – and hopefully successful – task! Make it clean-able. Sometimes there’s just too much stuff to even be able to have it put away. Maybe it’s a small bedroom or there aren’t enough places to put things. Fix that! Declutter, pass on some toys, buy storage solutions, etc. 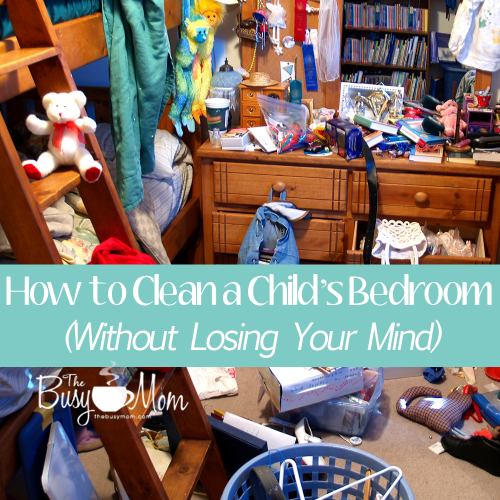 A room full of things with no place to belong will be a constant frustration for you and your child. Pick up everything and put it in one pile. This is hands down, my best tip. Pick up everything – EveRYthInG – and put it into one pile. On the bed, center of the floor, or wherever you choose. (We choose center of the floor because we can sweep it there easily!) It automatically eliminates the visual clutter that can be overwhelming to children, especially younger ones. After everything is in one pile, we pull stuff from that pile in categories. (Make a list of the order in which you suggest they do things if you are teaching them to do this independently.) Shoes are easy to start with because they usually all go in the same place, so it’s easy and quick success. Clothes next because they are a big part of the pile. Then the pile is usually manageable after those two categories. After that, just take one item at a time. Be willing to help while they clean. This may look like picking up and putting away while they work alongside you. Maybe it’s in the form of company and reading aloud while they work. Maybe it’s frequent checking in and encouraging. There are a lot of ways to help, and the younger the child is, the more involved you will likely need to be. But regardless of the age of the child, encouragement will go a long way! You can do this, Busy Mom! Do you have tips to share that simplify this task at your house? 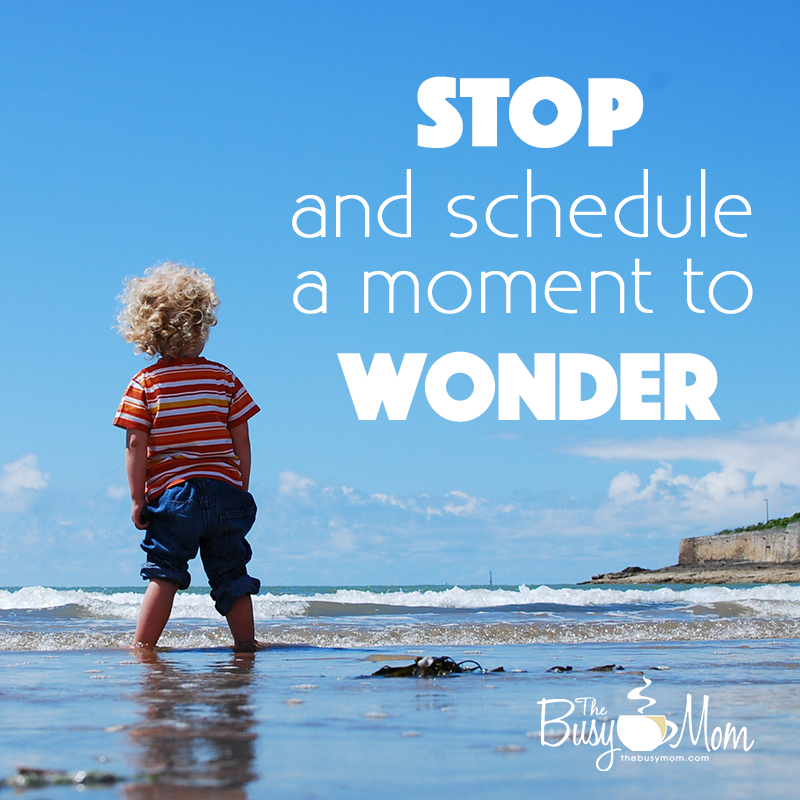 We are constantly being asked around The Busy Mom how we get “it” all done. Well first, we don’t, no matter how you define “it.” I am in a season where I have little margin and I have to choose to use every minute wisely. When I don’t, my house is what pays the price. Now I’m not setting expectations of having a spotless or sterile environment – believe me, I’m not shooting for the stars! I’m talking about a healthy, clean living environment, stewarding well what I have to manage. 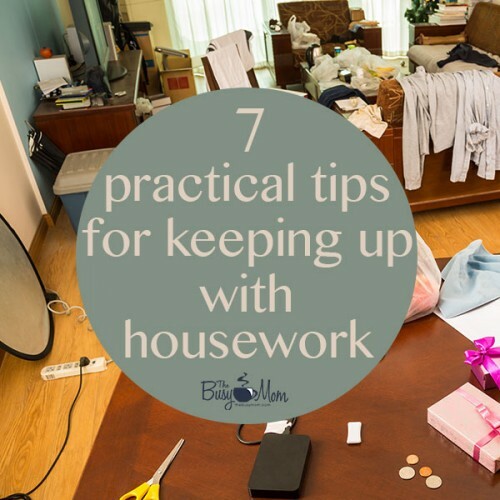 I wish I could say this busy-bess would end soon, but it likely won’t, so I have to apply a few tips to keep my sanity and manage my home well. I have given up on getting it all done, but there are a few things I do at my house to keep it livable! Truly, go through and relentlessly purge your belongings (or schedule or responsibilities). This is the best first step. The less you have, the less there is to manage. And if you are frustrated that you can’t keep a reasonably clean house, that just may mean that you have too much to manage in your current set of circumstances. Right? If you could manage it, you wouldn’t be reading this! You may have too much stuff to manage, or just too much stuff to manage with 3 small kids and a part time job, or just too much stuff to manage with a traveling soccer schedule, or just too much stuff to manage with a husband who works 65 hours a week, or too much stuff to manage with a chronic health problem, etc. If you truly can’t get it done, there’s too much “stuff” of some sort. I’m not criticizing any of those things, just pointing out that your set of circumstances is the reality in which you need to function well. I homeschool two kids, work part time and have a husband who has long work hours and chronic health problems, meaning he has little left to offer in the cooking and cleaning department. That is my reality, and I have determined what I needed to do to live well in it. But I can assure you, if you just have more belongings than your space will allow, it’s time to pack stuff up and move it out. Make a list and post it. Waking up with an expectation of what is to be done will set your mind in that direction first thing as opposed to waiting until you think about it. If you’re like me, I don’t think about it until I’m dragging already and that never works out well! Or worse, busy days go by and I don’t think about it at all. But if I have a list and stick to it, then when something comes up one day that prevents me from accomplishing whatever is on the list for that day, it doesn’t matter because I’m generally on track and can miss a day here and there. When I’m successful, it’s because I make a list of what needs to be done weekly (like bathrooms, floors, etc.) and divide the list into chores assigned to certain days, adjusting for seasonal sports, Bible study and homeschool coop schedules. Then I purpose to obey my schedule because I’m a nerd and things like that work for me. I have no need to waste my limited brain power reinventing the list every day and no need to spend money on a beautiful notebook in which to write the same things over and over. Type it up, print it off and tape it to the frig. or put it on your bulletin board. Use your non homeschooling or non working days to catch up. If I spend some chunks on Saturdays or Sunday afternoons cleaning, I can rest during the week when I’m trying to work around schooling the kids. Using those weekend “rest” days to manage my house actually allows me to better handle the busier weekdays, so my general level of rest is much more consistent as it is spread a bit over each day. Since Jesus isn’t legalistic, I think this is okay with Him. If I use 60 minutes on Sunday cleaning, then I have ten minutes 6 other days to spend in the word, so my day of rest is spent “resting” with Him in the season in which He has placed me using my time to manage my home well. It takes time to get cleaning supplies out and put them away. Wrapping up the vacuum cord and kicking stuff out of the way to get it in the hall closet takes a few minutes each time. Eliminate chore transitions to save time. Clean all the bathrooms on the same day while you have the supplies out, vacuum everything on the same day to eliminate that take-out and put-away time, round up all the sheets to wash and grab your hubby or child to help you put them all back on at the same time. Most children are much more capable than we give them credit for. Look at your chore list and turn chores over to them. Kids should be doing all that they are capable of doing! They don’t learn anything responsible by creating the tornado with no obligation to help clean it up. Don’t spend ten minutes every hour killing time on your phone or computer. (Yes, I’m talking to myself!) That can add up to 2 entire hours of lost productivity over the course of a day! When you’re tempted to sit down and veg, make the choice to keep moving. You can sit now or you can sit once the kids go to bed, but if you are a homeschooling mom and want to stay on top of your house, chances are good you can’t sit both times. Know the difference between clean and picked up, and set your expectations wisely. “Clean” means I’ve vacuumed, wiped, scrubbed or sprayed something. “Picked up” means all things are put in their place. I have children. I don’t strive for “picked up” constantly, or maybe ever. I don’t believe it’s realistic in a homeschooling home. I regularly push toys out of the way with the running vacuum cleaner, because legos or hot wheels look a whole lot nicer on my floor when they’re not mixed with dust bunnies! A pile of mail doesn’t seem nearly as offensive when the counter on which it sits isn’t scattered with bread crumbs. Socks, shoes, flashlights and all manner of random child paraphernalia on the side of my staircase are much less bothersome when the stairs are freshly vacuumed. That’s the difference between clean and picked up. My goal is clean. I gave up on picked up as soon as my second tornado child could move. I’ll raise my bar when she moves out. If keeping up with your house is a struggle for you, I’d encourage you to pick just one of these and start today. I need to get my list updated for this new season and get it on the frig. Which of these is the most applicable for you today? Let’s start together! I’m not an overachiever when it come to gluten free baking. If I see a list of more than two flours or anything I can’t easily get my hands on, I won’t even look any further at the recipe. As often as possible, I want to use only brown rice flour and some starch, though I even avoid the extra starch as often as I can. That’s why this recipe has been a long time favorite! It’s an adaptation from this White Lily Cookbook someone gave us as a wedding gift. Directions: Add dry ingredients to mixing bowl and mix on low (or hand stir) only until moistened. Pour into muffin tins and bake for 18-20 minutes, until toothpick comes out clean or muffins are lightly brown on top. Free tip for all quick bread recipes: Do not over stir or you’ll end up with rubbery muffins. Options, because all allergy free bakers like options! *Coconut oil substituted for shortening – I have found this to be too wet, so I don’t prefer it, but it works. *If using a cup for cup gluten free flour blend, use 2 1/2 c of it and eliminate the starch. *Egg substitute – 2T ground flax stirred into 2T warm water (let sit for 2-3 minutes to gel) – This is for EACH egg in a recipe and is a fabulous substitute for all breads and (non-snow white) cakes. *Substitute 1/2 c almond flour to add some protein. Makes them a little heavy, but I don’t mind trading that for the added protein. *Applesauce can be substituted for the oil in order to make these 2 point weight watchers muffins. The texture is different, but they’re still good. If your kids have food allergies like mine do, you know the frustration of large get togethers that center around food. It’s just hard. Nothing replaces the feeling of being left out, especially when that is part of every holiday memory you have. Thankfully kids get focused on playing, but there is inevitably time at the table, and that’s hard! Other than skipping the mealtime altogether (which my kids don’t want to do when given the choice), we resolve do the best we can. Honestly, it’s a lot of work for me, but it is always worth it when I see my kids’ plates licked clean of their favorite foods. I thought I’d share how I do our traditional Thanksgiving meal free of the eight major allergens and corn. Keep in mind, it’s not made to be full of gourmet recipes, but alternatives to the main family meal (because we get together with many other people who cook) that are still delicious but simple to do… a way to include everyone without making an entirely different meal. EveRy food allergy family has different needs, so find what works here and leave the rest. Use your safe something and make something else work. You know food allergy mamas are the queens of modifying! I’ve been unspecific on purpose, because we all have our own spreads, margarines, oils, amounts etc that work for our specific needs. I’m just sharing how we think out of the box. And I have no photos because I can’t wait until next Thursday to take them all so I can share them with you! *I buy meat with no ingredient list, which means nothing has been injected into it. The injected solutions are not corn or other allergy friendly. I keep things pretty simple in the kitchen, as you’ll notice as this post goes on. I have no idea how everyone else makes gravy or what they do to complicate it, but I’m the hired gravy-maker now for our family gatherings, and people keep going back for more. I take the broth leftover from the crock pot (fat included), bring it to a boil (high heat) in a skillet. Turn down to medium-low, and add brown rice flour, whisking consistently (though not necessarily non-stop) as it boils. Keep whisking and simmer for 2-3 minutes while it thickens, repeating this step until it’s as thick as you like it. Salt to taste. Sweet potatoes are a tough thing since so many sweet potato casserole recipes our kiddos will see are covered with marshmallows and loaded with sugar, milk and eggs. What I do now is bake sweet potatoes in their peel (poke with a fork, bake at 425 until they’re soft), peel them, place in small casserole dish, mash lightly with a fork, stir in some liquid (safe milk alternative or chicken broth), add margarine (or your safe spread), then top with brown sugar and cinnamon. It’s okay if they’re loaded with sugar… everyone else’s recipes are too! Dressing… or is it stuffing? We make our mashed potatoes with chicken broth instead of milk, and safe margarine or oil instead of butter. The chicken broth adds so much flavor, we prefer them over those made with milk and butter now! Or go really easy (no one will tell your mother) and use these instant flakes! Potatoes only! Ummm, do they really have to eat something green? I suppose to be helpful I’ll add that steamed veggies with a holiday-amount of your favorite spread are permissable. My kids love salad, so when I require them to eat something green at a holiday meal (really, never) I give them that, and it’s really easy to make match for every guest who will attend. *In quick breads or muffins, I use familiar wheat recipes and sub brown rice flour cup for cup with excellent results. And I use 1T flax meal stirred into 3T warm water for each egg I need to substitute. 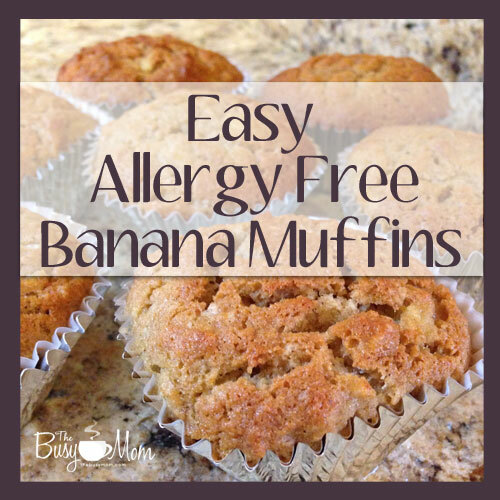 These make for easy allergy free baking and avail a lot of options! I’ll admit, I’ve tried and failed at a number of allergy friendly pie recipes. The dairy-corn-wheat-egg free pumpkin pie was gross and the dairy-corn-wheat-egg free pecan pie (we’re obviously not nut free around here!) was very runny, though still delicious. I’ve settled on a good old modified apple crisp. Smells like fall as it bakes, and can be loaded with doubled topping for extra holiday fun! Oatmeal raisin cookies are my most successful allergy free cookie recipe, and can be pre-made, frozen and then warmed just in time for dessert too! Arrange sliced apples in pan. Mix all other ingredients and sprinkle over apple layer. Bake at 375 for about 30 minutes, or until topping is lightly browned. This might seem like a silly one, but to a corn allergy child, prepared drink options are severely limited. I make sweet tea beforehand to make sure he has something he loves. Feed them a snack before you arrive or before the meal. If they’re not starving, their eyes and stomach will be much more satisfied with what they can have instead of what they can’t have. Fix their plate for them (before you call them to the table) so they don’t have to walk through the line and see what everyone else might be having. If dessert isn’t an organized event, don’t feel the need to call them when everyone else comes. Leave them playing and feed them their dessert whenever they come looking. As silly as it sounds, fun holiday paper plates & cups or beautiful china makes a different meal really exciting too… it takes the focus off the food! Most importantly, don’t encourage (or allow) a “poor me” attitude about their allergies. They are tough, for real, but some people can’t run, or hear, or even swallow. Help your children keep in perspective that there is much they can enjoy as a kiddo with food allergies, and all their favorite foods on Thanksgiving are a great beginning! Now it’s your turn. 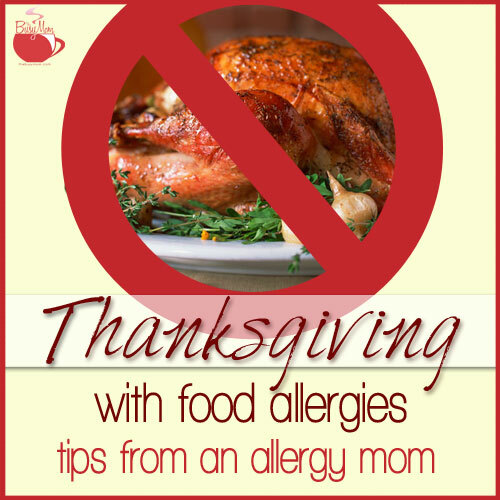 Share your suggestions or post links to your allergy free recipes here! God’s main concern isn’t our happiness, yet we often (inadvertently) train our children to think it is. Happiness is temporary, fleeting, dependent on the circumstances or the moment. No, He’s concerned with our holiness. Because when we are holy, we ascribe glory to Him which is the entire reason we were created. Jesus underwent terrible pain – worse than we can ever imagine as he took on the sin of the world – and chose to give glory to His Father. You see, God sees the big picture in our lives, and He can use anything to make us more like Him. Failure, hunger, depression, heartache, wayward children, past abortions, divorce, abuse, abandonment, unfaithfulness, betrayal or littler every day things like unkindness from a friend or a terrible day of homeschooling… Don’t get me wrong – He doesn’t cause any of the sin of this world, but He will redeem it in our lives if we let Him. All of these struggles that come as a result of this fallen world cause us to run to Him, desperately cling to Him, and sometimes even to need Him for our very next breath. And that makes us holy. My husband and I lived in a season of infertility. 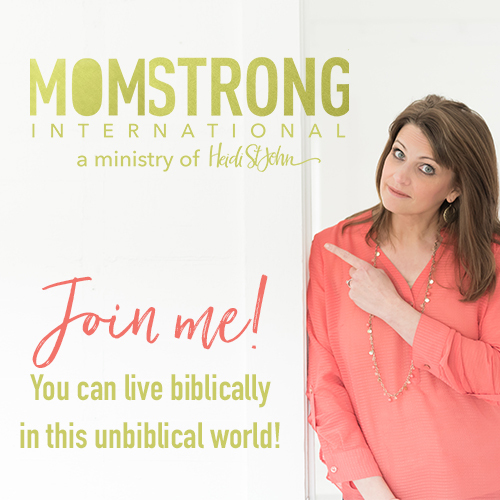 (The Lord has yet to give me more “fruit of my womb.”) I wanted more babies, but I learned I wanted His best for me more than I wanted to grow that little one. That unsatisfied desire for more babies made me more holy. Needing God, submitting to God, allowing Him to mold us into the beautiful creation He intends for us to be… all of those make us holy. And when we’re holy, we can give Him glory even when we are drowning in the sadness of infertility. When we’re holy, we can give Him glory by being patient and kind – even when our growing-up-family baggage is rearing its ugly head and wreaking havoc in our marriage. When we’re holy, we can give Him glory by waiting on Him as our Provider – even when we aren’t sure how we will pay that next electric bill. When we’re holy, we can give Him glory by offering forgiveness – even when someone we trusted betrays us. When we’re holy, we can give Him glory by recklessly trusting Him – even when we’re fearful of what tomorrow might bring. When we’re holy, we can give Him glory by offering the gift of hope – even when we feel hopeless. Unless you’re somehow exempt, life is going to be hard at one point or another. There is still hope in this. 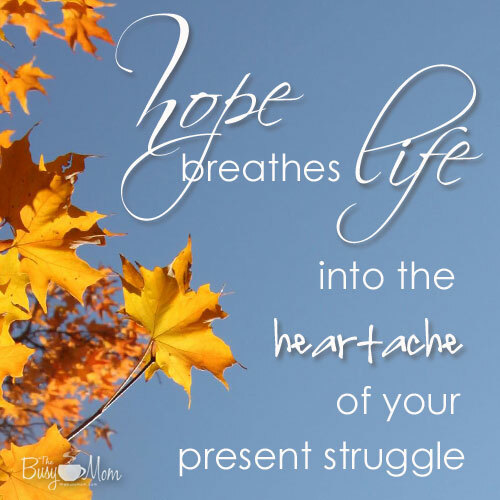 And hope breathes life and purpose into the heartache of the present struggle. I can choose to use this struggle well, or I can choose to waste it. I want to be holy. I want to give Him glory. What is your heartache? Will you join me?